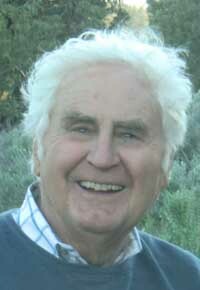 Pleasanton, Calif., native and Idaho resident Lee J. Amaral, 81, died unexpectedly on Aug. 8, 2011, at his home in Eagle, Idaho. Lee was born Oct. 1, 1929, in Pleasanton, Calif., to Ruth and John J. Amaral. Lee is survived by his three sons, Gary (Ann), Greg (Cindy) and Grant (Cynthia) Amaral; his grandchildren, Ali, Austin, Wyatt, McKenzie, Rachel and Lauren Amaral; and his brother, Jim Amaral. Lee graduated from Amador Valley High School in Pleasanton in 1947, Stanford University in 1951 and UC Hastings College of the Law in 1955. After graduating from law school he worked for the Alameda County District Attorney's Office. Later, he opened his private law practice with partner Hon. William Gale in Pleasanton. Lee served his country as a captain in the Air Force attached to the 3082nd Aviation Depot Squadron. He was a member of the California State Bar Association and the California Cattlemen's Association, and was a Pleasanton School Board member and Zone 7 Water District member. After retiring, Lee moved to his ranch in Picabo, Idaho, to be close to the skiing in Sun Valley and to ride his horse and tend cattle on his ranch. Lee enjoyed working on his cattle ranch, riding his horse and traveling. He loved horses, cattle and the joy of riding and roping. He spent many years pursuing his passion for skiing. He loved to ski at Sun Valley and Chamonix, France. He traveled all over the world, visiting Europe, Australia, Asia and Africa. He enjoyed people and made friends everywhere he went. Lee's generosity and kind heart were an inspiration to his family and friends. He lived his life with integrity and bravery. Lee faced the world on his terms; he lived life to the fullest. Lee achieved his hopes and dreams. He passed that enthusiasm and spirit to his sons and grandchildren. "Every day with Lee brought a new surprise," said Lee's oldest son, Gary. "When we were children, we came home from school one day to find a small sailboat in the backyard, converted into a jungle-gym and sandbox. At the height of the race to the moon he built a backyard rocket-ship that served as a slide and playground. We spent our childhood riding horses, skiing, jeeping, fishing, hiking and hunting. Our dad took us everywhere as if we were his best friends—which we were and continued to be throughout our lives." Lee was an inspiration as a father and a loving and caring grandfather. Lee spent his life mixing with friends and family, sharing his adventurous spirit and open heart with everyone he met. He approached each new day as an adventure and wonder. Lee was active, working and planning new adventures up to the very moment he passed away. His sons hosted a memorial service for friends and family on Aug. 27 at Lee Amaral's house in Eagle, Idaho. A second memorial service will be held Saturday, Sept. 3, at 4 p.m. at Greg Amaral's house, 1606 Amaral Court in Fairfield, Calif.